Hey Lovely! 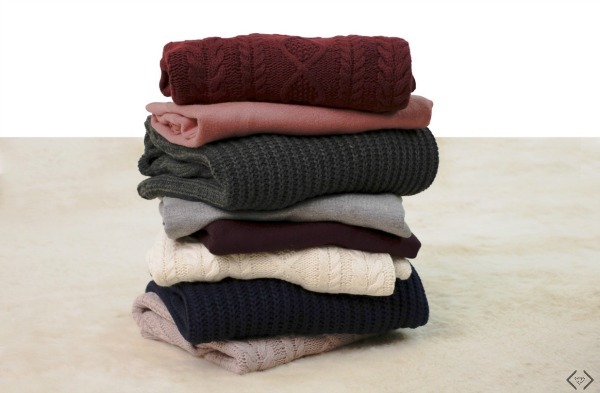 Today ONLY, get some of the cutest Fall Sweaters for 40% off + FREE Shipping! 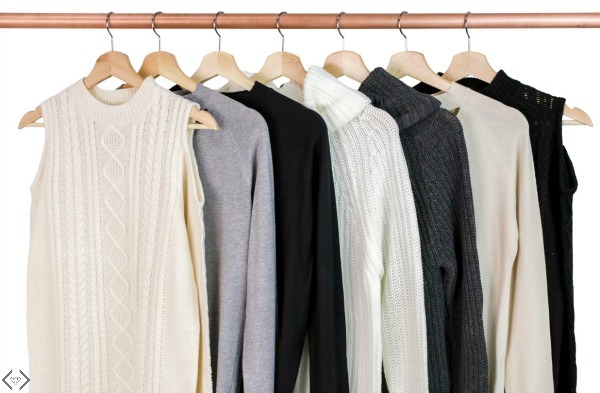 All three of these sweaters are staple pieces for any wardrobe! They are perfect worn casually or dressed up making them a go-to piece for any occasion! Use the code: COZYSTEAL at checkout, and it takes 40% Off + FREE SHIPPING! How to Style This Season’s Sweater + Get 40% OFF! It’s all in the details! At least that’s I feel when it comes to fall sweaters! 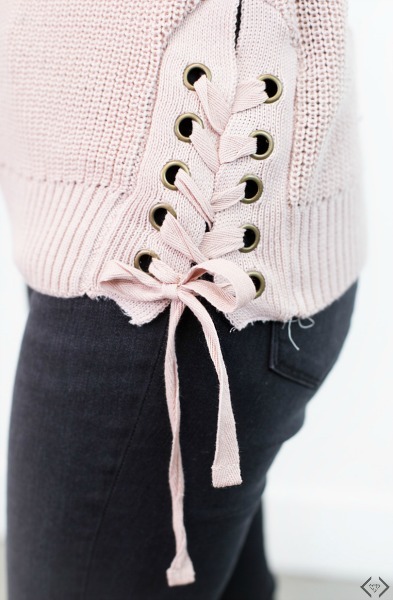 This Fashion Friday is all about sweaters with details that will make you fall in love (insert heart eyes emoji here). From keyhole cutouts to pockets, and everything in between, these sweaters will keep you on trend all fall long. 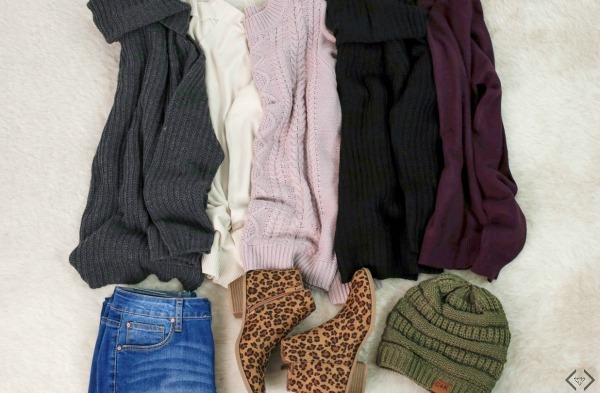 *You can’t go wrong with a sweater and leggings! Keep it simple by pairing them with your favorites booties. This will make the details on your sweater stand out that much more. 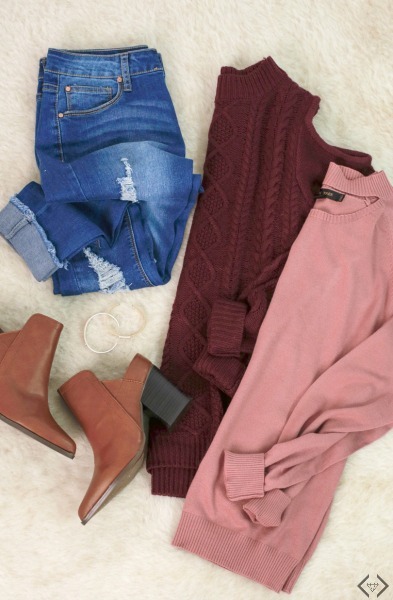 *Fall date night definitely calls for sweater weather. Pair one of the keyhole sweaters with black jeggings and high-heeled boots. Add a cute clutch for a simple accessory. *For an everyday, casual look, pair your sweater with a simple pair of jeans. 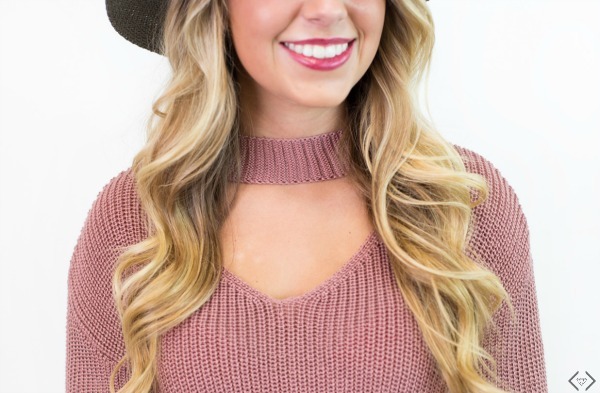 Accessorize with a cute hat or beanie. *Try layering! 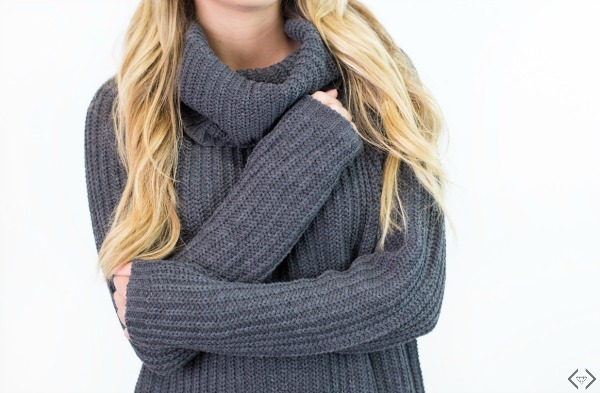 A cowl neck sweater looks great under a motorcycle or bomber jacket. Pair with ripped jeans for an edgier look. Use code: SWEATERWEATHER AND GET 40% OFF the lowest marked price on any sweater of choice! That makes the prices start at just $20, and everything is under $35! You will love the subtle, yet bold details of these unique sweaters. The small details make a world of difference!